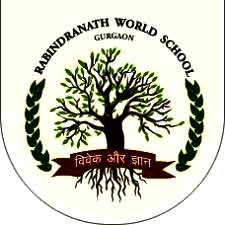 Rabindranath World School (RWS) collaborates with Music Institute of Chromatics (MIC) to introduce “Wirth Method of Music Learning” to children in school. RWS has over nineteen years of academic excellence in progressive and professionally equipped teachers which lead them to achieve yet another milestone in the Indian history of education. The Grammy Award Winner, Austrian Musician and Composer, Prof. Gerald Wirth introduces his famous “Wirth Method” - an integrative and innovative approach to learn music, presented before academicians and principals of Indian Schools and Colleges for the first time in India. Being a former Artistic Counsellor of the Austrian-Indian institute, Gerald Wirth has always shown a keen interest in Indian culture and its music for many decades. He has also worked jointly with late Pandit Ravi Shankar, and now has collaborated with Music Institute of Chromatics (MIC), to make Indian classical music globally known and popular to the world. Mr. Mohit Rathore, Co-founder of MIC believes that “Wirth’s Method” is a creative way for students to cultivate their artistic talents and performance skills. His team has initiated to equip schools and colleges with Wirth’s methodology by providing them end to end solutions like talent specific instruments to each student in the classroom for hands-on practice, Wirth Method curriculum and syllabus, as well as specialized and well-trained teachers.